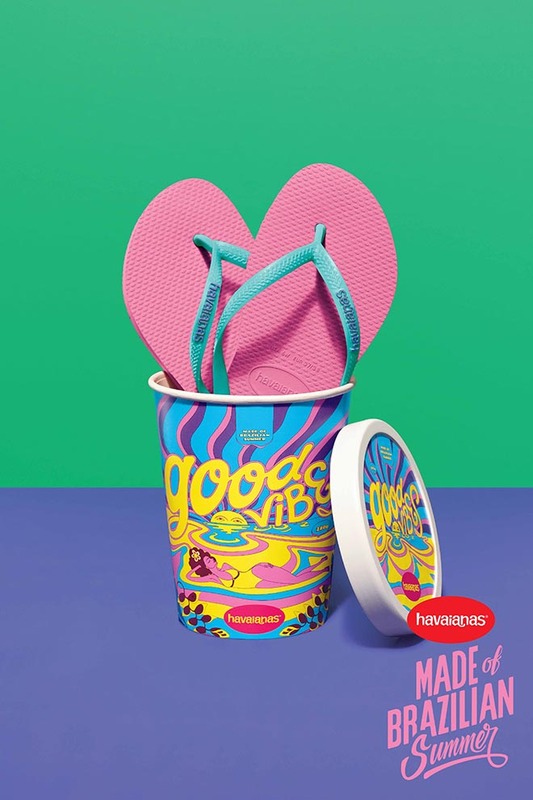 Havaianas, the footwear brand, has launched “Made of Brazilian Summer”, a global campaign designed to bring a little of Brazil to the rest of the world. 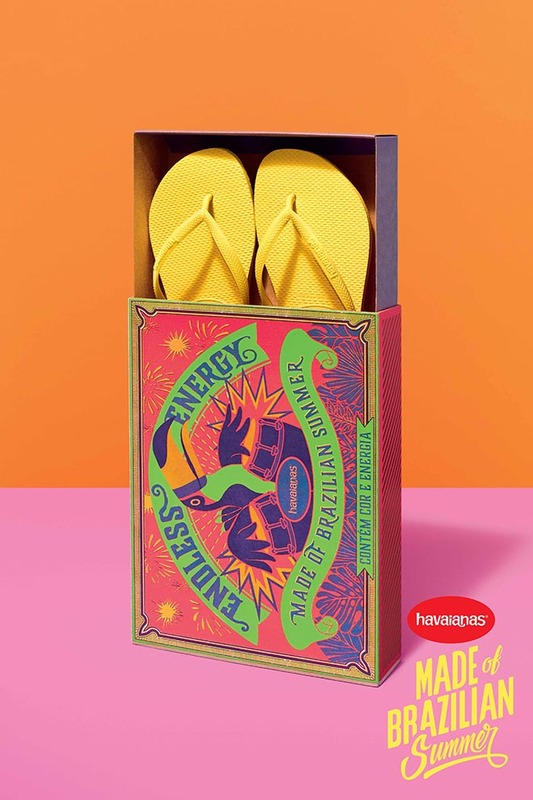 When you think of Havaianas, you think of everything that best represents the Brazilian summer, such as happiness, rhythm, energy, friendship, spontaneity, good vibes and free spirit. 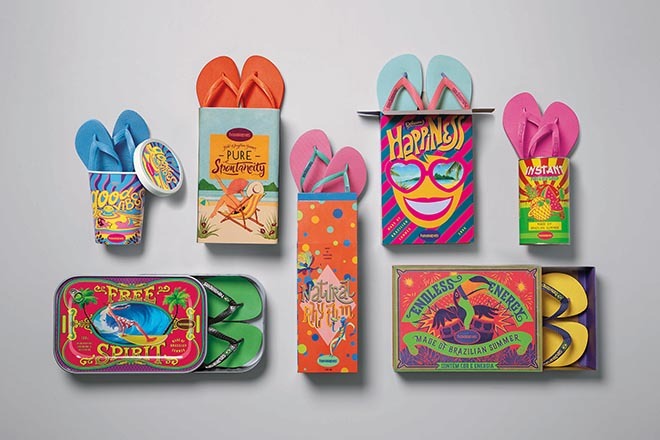 That is why AlmapBBDO decided to turn the packaging for Havaianas into packaging for all that. 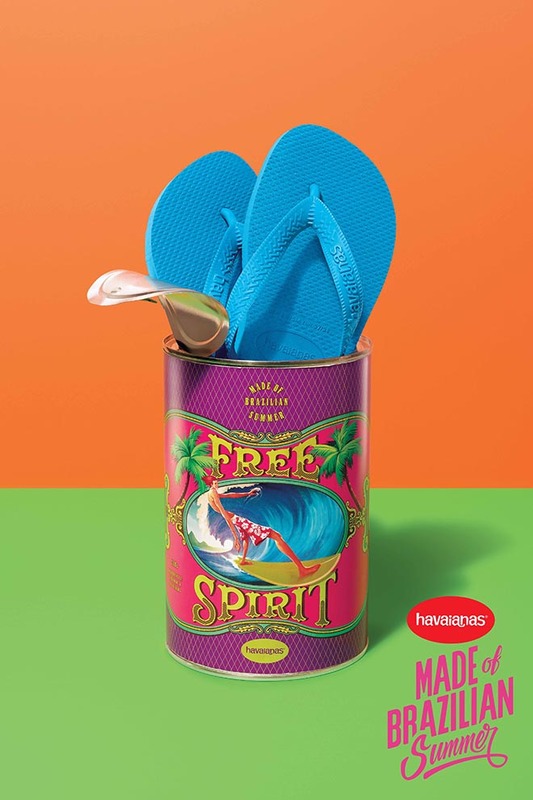 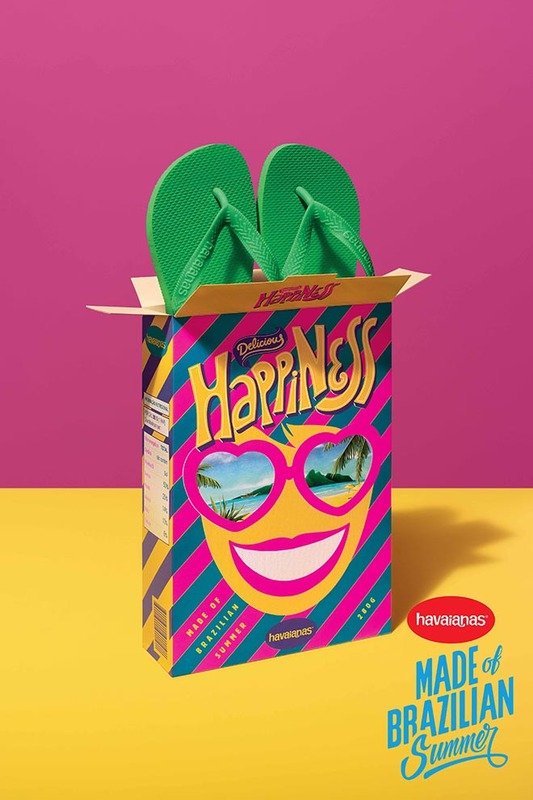 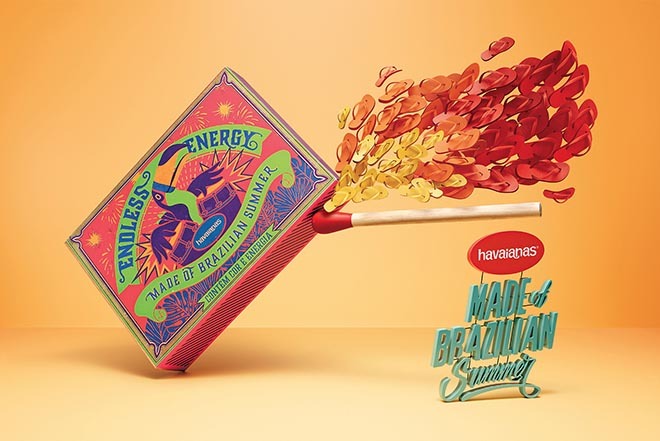 The packages — designed in the shape of various products — will both contain the products at stores around the world and promote the campaign’s message, “Made of Brazilian Summer.” The Havaianas Made of Brazilian Summer message is creatively presented on posters, print ads, vignettes, gifs, shop windows and decorations. 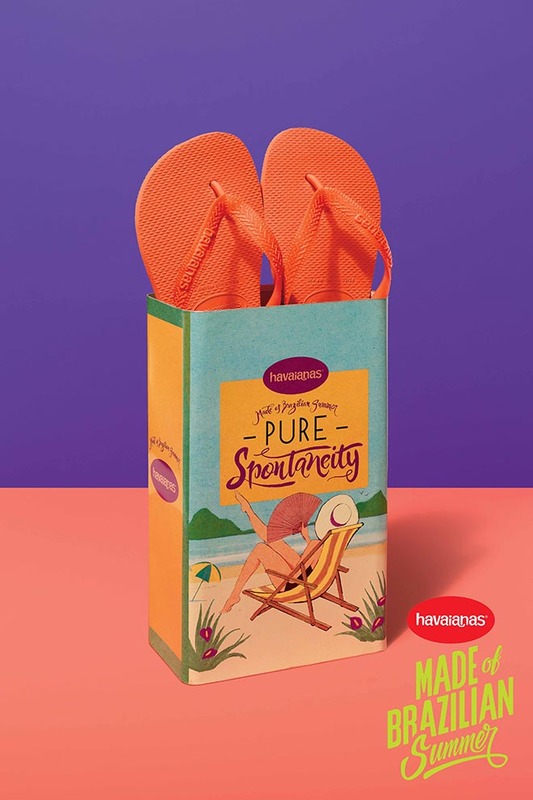 The packages will also be used throughout the year in activations, press kits for influencers and direct marketing actions. 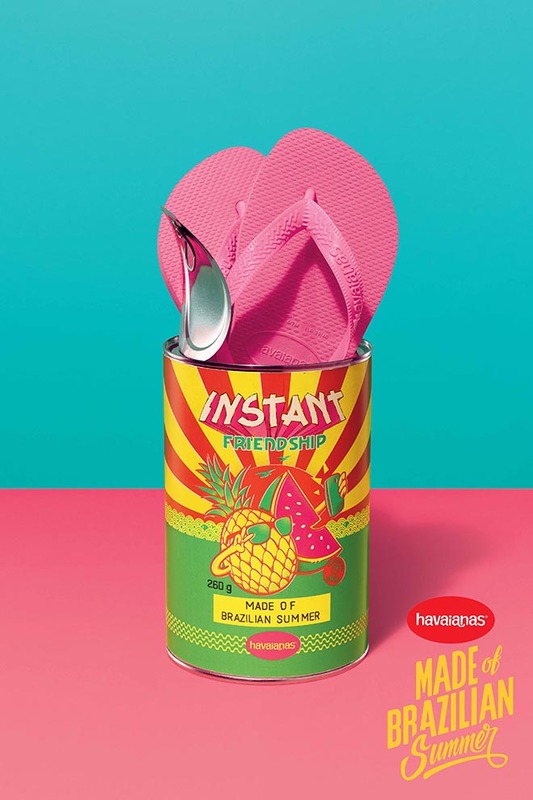 The brand’s social network channels will bring foreigners to Brazil to experience the things that make the Brazilian summer, like Havaianas. 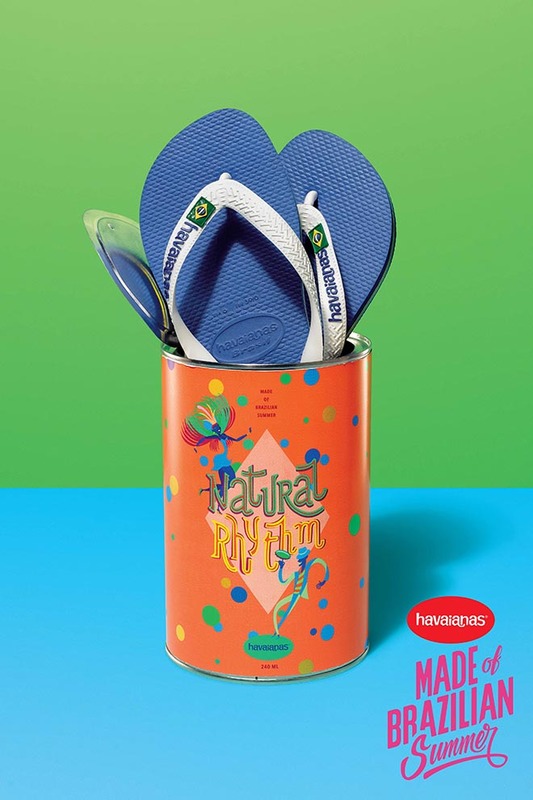 The Havaianas Made of Brazilian Summer campaign was develop at AlmapBBDO, Sao Paulo, by chief creative officer Luiz Sanches, executive creative director Bruno Prosperi, art director/2D illustrator Keka Morelle, copywriter Pedro Corbett, art assistant/2D illustrator Felipe Antonioli, copywriter Daniel Oksenberg, art buyers Tereza Setti and Ana Cecília da Costa, 2D illustrator/typographer Motor Niveo, 2D illustrators Adelmo Barreira and Black Madre Atelier, 3D illustration studio Gelmi Estudio de Arte, photographers Alê Catan and Mariana Valverde, planners Cintia Gonçalves, Sergio Katz, Vanessa Sakamoto, Beatriz Scheuer, media team Carla Durighetto, Maria Eugenia e Flavio Padilha, account team Cristina Chacon, Flavia Fusco, Renata Carvalho, Italo Vetorazzo, and Sâmia Reiter, working with Alpagartas marketing team Carla Schmitzberger, Rui Porto, Eliana Vilches, Marcelo Vecchi, Maria Fernanda Candeloro.